Back in July I gave you a list of the best movies I had seen so far in 2015. Now that the year is ending, I thought I would put together a handy dandy list for you so you can get caught up on some of the best of the best, movies you should see. That list back in July included films I really enjoyed, not necessarily Academy Award worthy, but still really good films. This list will not include all of those I listed in July, not to diminish the enjoyment I felt watching those films, but as I look forward to Academy Award season, my criteria has changed when I say "best films." So some of the films here will be repeats from that July list and some will be films I have seen since then. However, note that most of the Academy-worthy films are just now being released in December to be eligible for nominations so this list will not include some that will surely be honored such as Todd Haynes new film "Carol" starring Cate Blanchett which is already racking up awards; the new David O. Russell-Jennifer Lawrence-Bradley Cooper collaboration "Joy;" and "The Revenant" starring Leonardo Di Caprio and the incredible Tom Hardy. I haven't seen those yet so I can't comment. However, I did see "The Martian" and it will surely get an Oscar nod, but it's not on my list, because, frankly, other than Matt Damon's performance, I didn't really like it that much. For me it's not just about the movie being "good," it's about my enjoyment of the film too. And frankly, that film bored me. It's been a good year for film. I had a difficult time narrowing down my list and The Academy is also going to have a difficult time picking the Best Picture nominees this year because it has gone back to nominating only five, as it did in the past, instead of "up to 10" over the last couple of years, which I did not approve of. I will make my Oscar predictions in January. 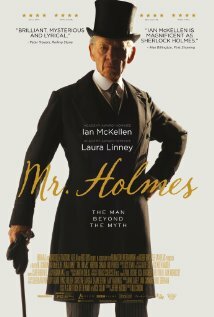 with some brief but pithy comments (click on the movie title if you want to see my full review of the film). 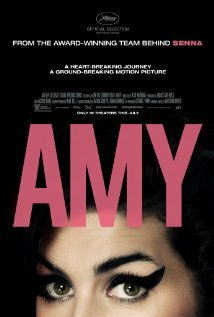 Amy Winehouse comes back from the grave to tell her story in her own words. Heartbreaking. This one is sure to get an Academy Award nomination for Best Documentary. 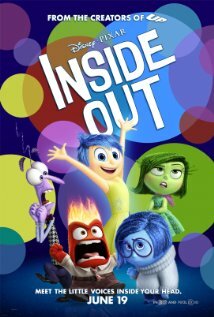 This Pixar film explores the meaning of joy in a most joyous way. Though kids will find much to like here, this one is definitely for the adults. Expect this to be nominated by the Academy for Best Animated Feature. An intelligent, mesmerizing sci fi thriller starring Alicia Vikander, who is sure to get an Oscar nod for her role in "The Danish Girl." 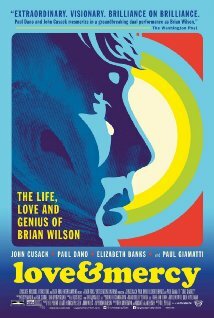 A biopic on Brian Wilson's rise and fall and the burden of genius. Paul Dano as the young Brian is not to be missed (but try not to be distracted by John Cusack as the older Brian. Why he was cast is a mystery because is so does NOT look like Wilson it's a distraction. Cusack is a good actor but not that good)! Sylvester Stallone as you haven't seen him in a long time. Rocky is an old man now and Stallone's performance gives this classic fight movie real heart. 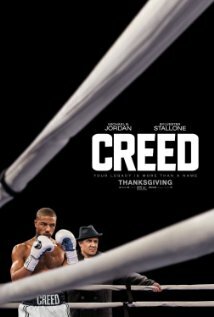 Stallone has already been nominated for a Golden Globe for this and is likely to get an Oscar nod as well. Michael B. Jordan is no slouch either. One fights to make a mark for himself and another fights for his life. That adds up to a brilliant film that even people who don't like fight movies will enjoy. (See my full review next week). 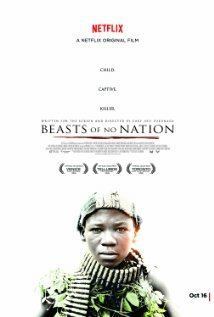 Isris Elba puts in an Oscar worthy performance as does the young Abraham Attah in this story of the lost innocence of boy soldiers. And for me to praise a child actor...well, that means A LOT! 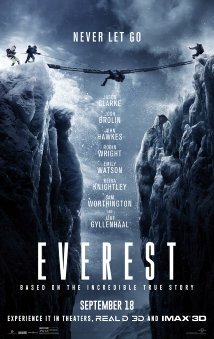 The 1996 Everest Disaster brought to heartbreaking life. 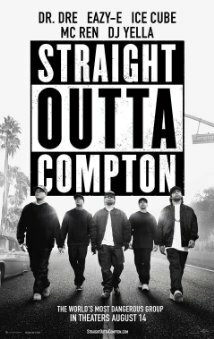 The beginning of "gangsta rap" and the group N.W.A., with a brilliant script and brilliant young actors. Now you will know what your kids were listening to when they started to listen to rap. 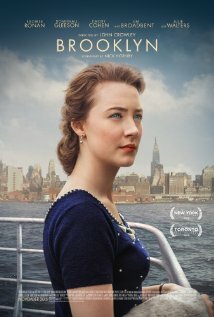 Saoirse Ronan (her first name is pronounced Seer-sha, in case you are wondering) is sure to be nominated for an Academy Award for Best Actress in this lovely, romantic tale of a young Irish immigrant girl coming all alone to the United States in the 1950's. Imagine how tough that would have been. No Internet! No cell phones! This was how the Catholic Church Abuse Scandal was uncovered and brought to light. 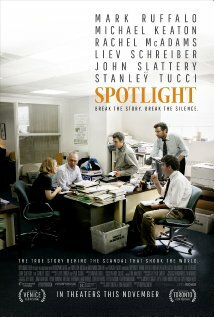 This film has already won several awards and will most assuredly be nominated for Best Picture by the Academy. When this film ended, I cried. 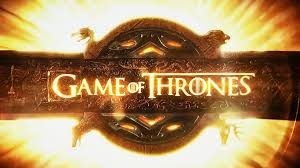 I cried not because it was sad but because it was SO GOOD!